Volvo Cars said its 2014 operating profit rose 17 percent in its best year of sales to date as rapid expansion in China and recovery in Europe took the sting off the brand's lingering weakness in the U.S.
Operating profit increased to 2.25 billion kronor ($271 million) in 2014 from 1.92 billion kronor a year earlier, the carmaker said. Revenue gained 6.3 percent to 130 billion kronor. "The company is in an investment phase right now," CEO Hakan Samuelsson said in a statement today. "The fruits of these investments will start to be felt from this year." The company sold a record 465,866 cars last year but is still far from its goal of selling 800,000 cars in 2020 and making real inroads into a premium market dominated by German rivals BMW, Audi and Mercedes-Benz. Volvo is banking on continued strong growth in China to generate volumes needed to foot the bill for billions of dollars of investment in new models, but also needs growth elsewhere. Volvo's revenue in the United States, once its top unit sales market but now eclipsed by China, has eroded over the past decade due to a dearth of new models and financing options while the lack of U.S. production has left it sensitive to dollar swings. The company, whose U.S. sales fell 7 percent last year, has put in place a raft of measures, including new management, to seek to reverse the trend while it is also eyeing exports of Chinese-made Volvos to the U.S.
Samuelsson told Reuters that Volvo expects to reach sales of about 500,000 cars this year by outpacing underlying markets in Europe and China and returning to growth in the U.S. "We are planning for a new all-time high this year," Samuelsson said. "We also see a clear improvement in profitability during the second half." 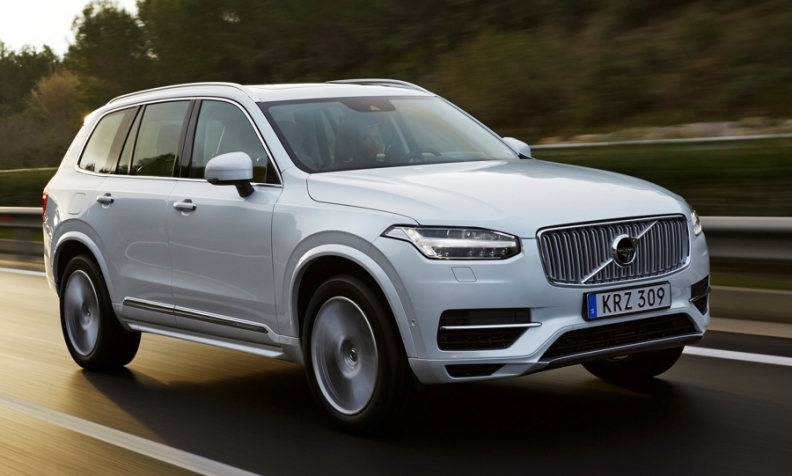 The automaker will start deliveries of the new XC90 SUV during the second quarter of this year. The car replaces a version built since 2002 and is the first vehicle to be introduced after a five-year, $11 billion investment program to produce a broad range of models on a new modular platform it developed in-house. Volvo was bought from Ford Motor by billionaire Li Shufu's Zhejiang Geely Holding Group Co. in 2010. Zhejiang Geely's listed arm, Geely Automobile Holdings, said in December it expects full-year net income to fall about 50 percent because of declining sales and a slumping Russian ruble. The company's net income was 2.66 billion yuan ($425 million) in 2013. Li said he's revamping the Geely brand, replacing its Emgrand, Gleagle and Englon model lines.